Even the Boy Scouts of America is outsourcing its production overseas. 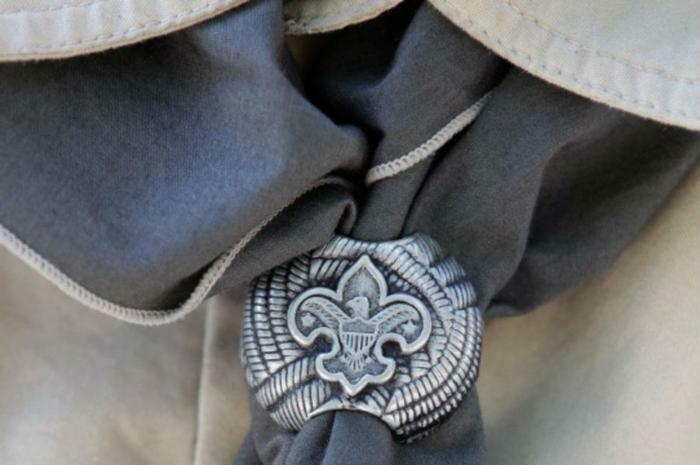 The organization says that China-based uniform and accessory manufacturer Strategic Orient Sourcing made an “isolated, one-time production error” when it accidentally sold thousands of lead-tainted neckerchief slides, the decorative pendants that help secure the Boy Scout uniform together. “We have investigated the entire production process in cooperation with the manufacturer, and we have identified an isolated, one-time production error which we believe caused this problem," a Boy Scouts spokesman told NBC News. The error, the spokesperson added, has been corrected. The United States Consumer Product Safety Commission says that 110,000 of the slides contain level levels “that exceed the federal lead content ban.” Experts say that no level of lead is considered safe. Lead is known to cause neurotoxicity and other health problems if ingested. Boy Scouts of America says people who purchased the contaminated pendants can receive a replacement free of charge.